The Presidential Campaign Council of the All Progressive Congress has listed the things INEC has to do before February 23. 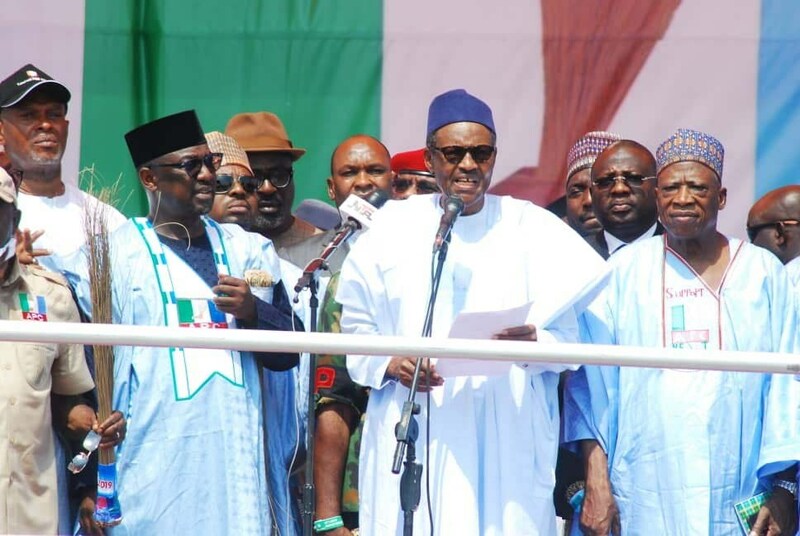 The APC Presidential Campaign Council has listed some actions it expects the electoral commission, INEC, to take before Saturday’s presidential election. The campaign council criticised the postponement of the election and listed seven things INEC should do before the rescheduled elections. The council’s position is contained in a statement by two of its directors, Babatunde Fashola and Hadiza Bala-Usman. Elections and political parties are primarily about people. In this episode, millions of Nigerians have sacrificed their time, resources and convenience to perform this National civic duty only to be disappointed by the postponement. As a party, our disappointment is doubled due to the fact that unlike some who were apparently privy to this postponement in advance, we found out alongside the public a few hours before the polls opened. To the stranded youth corpers we empathise with you. To the voters and volunteers who have travelled at great cost to cast their votes, we empathise with you. To party agents and our party faithful we empathise with you. Our sympathies go to all those people and we urge them not to despair. However, we Nigerians are a determined and resilient people and we will not let the shortcomings of INEC deter us from exercising our franchise. Therefore, we ask you all to stay calm, stay determined and come out en masse on February 23rd to vote for APC, President Muhammadu Buhari and all APC Senators and House of Representative candidates. We urge all Nigerians to convert their disappointment to determination and ensure that their previous sacrifice does not go to waste. As a result of the common pain shared by us all, we, the Directorate of Election Planning and Monitoring, and Contact and Mobilization on behalf of APC Campaign Council, demand greater openness and transparency in the Commission’s preparations ahead of Saturday 23rdFebruary 2019.
b. The status of INEC’s plans to procure and provide materials for election and in particular let Nigerians know if all materials required are in country and if not what plans the commission has to ensure that they are. c. INEC’s plans to re-deploy and distribute materials ahead of Saturday 23rd 2019.
d. The specific problems INEC encountered in the failed attempt of Saturday 16thFebruary 2019 and measures it has taken to overcome them? f. Confirmation that the configuration of the card readers will be completed in readiness of Saturday 23rd 2019. In addition to all of these, we believe that INEC should brief Nigerians daily on an ongoing basis until this process is concluded. This is one way to elicit the buy-in of Nigerians that INEC is serious and this will replace disappointment with enthusiasm. As President Buhari has urged that “Nigerians should continue to rally round INEC at this trying national moment,” INEC has the duty to now make its processes open, believable and inspiring, this is what Nigerians can and will rally round. This is the road to free and fair elections which is a victory for Nigeria and not for any party.